Recently upgraded outside and with a wealth of optional upgrades inside, the Kia Sportage is a versatile SUV that combines sport utility with the premium comforts of a five-person vehicle, creating an SUV ideal for any adventure. 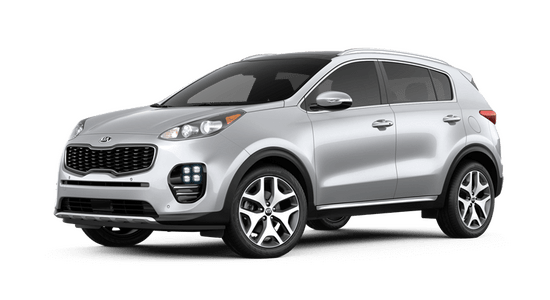 Available in three trims, the LX, EX and SX Turbo, the Sportage comes standard with a 181-horsepower 4-cylinder engine, with the SX Turbo leaping ahead with a 240-horsepower turbocharged engine. The capability to brave nearly any terrain is available on every Sportage trim in the Dynamax™ Full-time All-Wheel Drive system, using electronic sensors to optimize traction and control in abnormal road conditions. 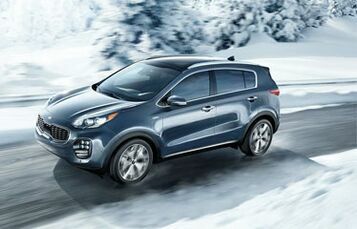 For more extreme driving conditions, a driver-activated locking center differential is available, providing increased low-speed traction in the worst of driving scenarios. 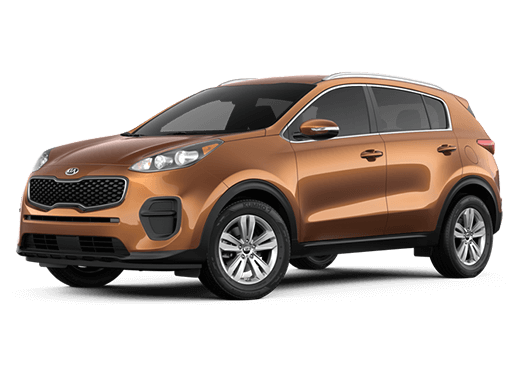 Poised to comfort despite its power, the Sportage transports its passengers in a serene, expertly crafted interior, complete by an ergonomically oriented driver’s experience with available leather trim, 10-way adjustable seat and seat ventilation for an all-inclusive driving experience. 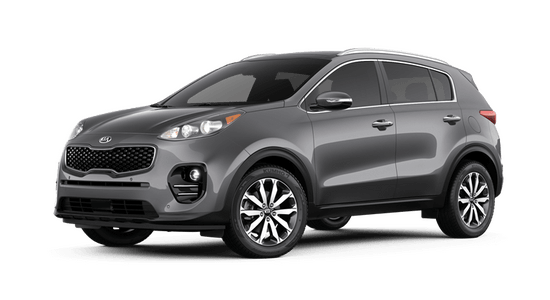 The available Dynamax™ All-Wheel-Drive system utilizes electronic sensors to detect changing conditions in different driving environments, dynamically adjusting traction in each wheel for optimized performance no matter the terrain or weather. Available on every trim level, the Dynamax™ AWD system is prepared for the unexpected. 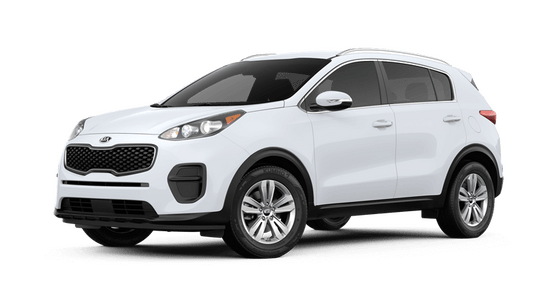 The Sportage is fitted standard with a rear-camera display, trip computer, BLUETOOTH® calling and 12-Volt power outlets, but it doesn’t stop there. 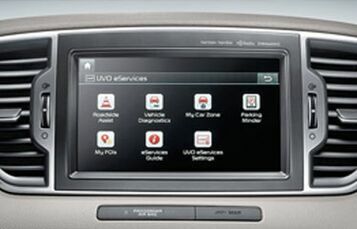 Higher trims offer Android Auto™ and Apple CarPlay™, Kia UVO connectivity, dual-zone automatic temperature control, Harman/Kardon® Premium Surround Sound and additional driver assistance features. Built on a Kia Iso-Structure™ unibody frame, the Sportage is a package sealed with exceptional rigidity and security outside with a suite of intelligent safety features inside. 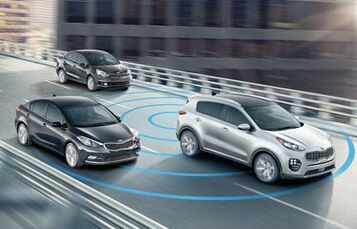 Active safety features such as Electronic Stability Control adjust vehicle speed in emergencies while advanced braking technologies such as Downhill Brake Control maintain speed downhill or on slippery surfaces.